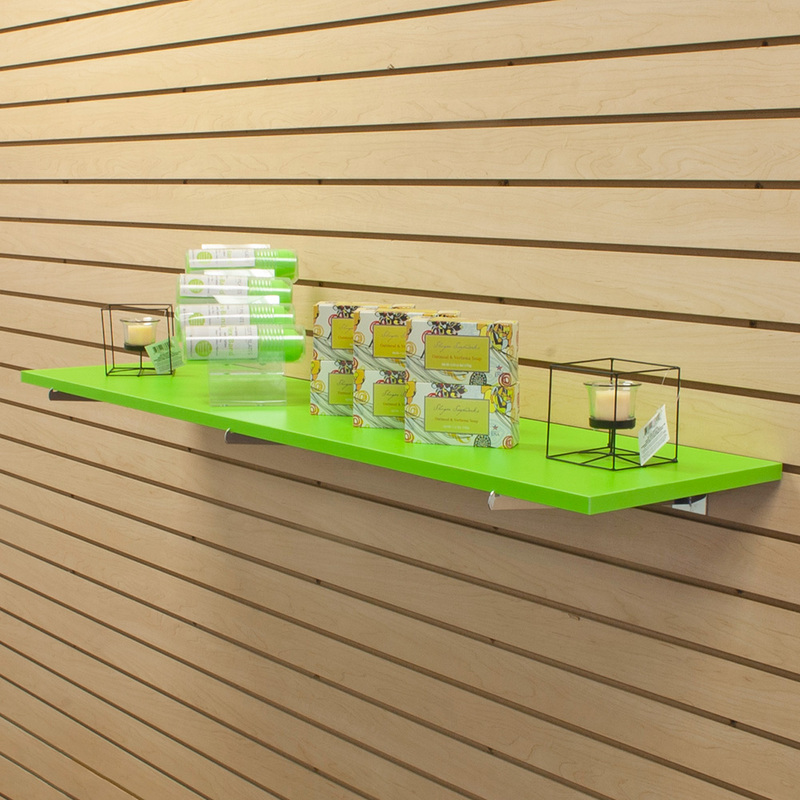 Retail shelving that offers vibrant apple green color to your shop! 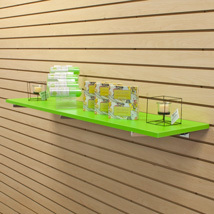 Finished square edges give this retail shelving a clean and neat appearance. The Wood Shelves are 3/4 in. thick. This shelf is compatible with 12 in. shelf bracket, sold separately. For additional options, we invite you to take the occasion to view our thorough collection of retail shelving at Specialty Store Services now.